August 2018 - Perry Hood Properties, Inc. According to the experts, the most common house pests are rodents, cockroaches, and ants. Each kind of pest comes with its own set of problems to deal with, and none of them are a homeowner’s idea of a friendly visitor. When you’re dealing with these pests, the first step is to find out how they’re getting in and close off the points of entry to prevent more unwelcomed house guests. Next you need to figure out how to get rid of the pests that already found a way in. Let’s take a look at specific ways to deal with these three pests. Rats and mice are pretty smart and nimble creatures when it comes to getting into your home. Some rodents can come through a hole as small as an eraser. To find these points of entry, look for any holes along the baseboard or cracks under exterior doors. These holes need to be sealed with wire mesh or steel wool depending on the size of the hole. Next, traps should be laid to get rid of existing rodents. The type of trap you get is up to you, but know it’s best to use peanut butter instead of cheese. These little (or sometimes not so little) guys love dark, warm, and moist places. Cockroaches will leave a distinct musty smell behind, so it’s pretty easy to know if they’re in your home. Apart from killing them with bug spray as you find them, calling a professional exterminator will be your best bet to kill them. Food crumbs can be a big attraction for roaches, so tidying up after meals will help keep them at bay. 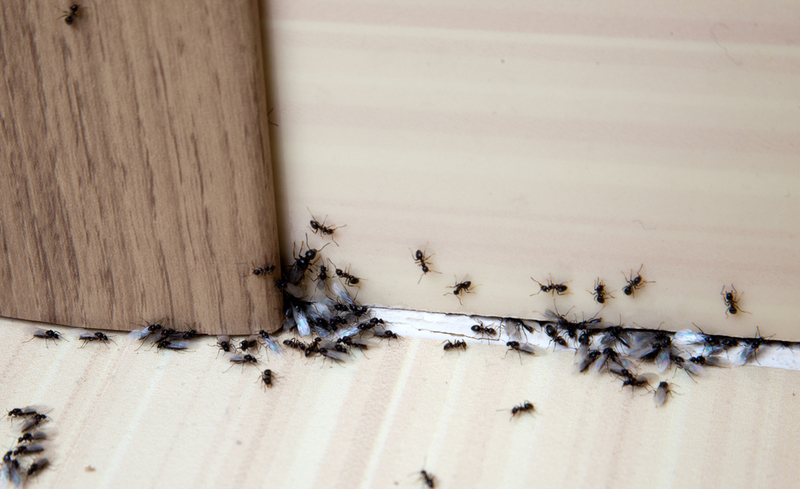 Like roaches, messy kitchens are a favorite spot among ants. The availability of food scraps and crumbs can make your kitchen a buffet for a colony of ants. Given their small size, it doesn’t take much for ants to make their way inside. An old and weathered seal around a window can be a wide-open gateway for ants. Mounting a physical defense against ants may be futile, so chemical warfare might be the better option. Buying your most expensive asset is hard enough when you have the opportunity to see the house in person. 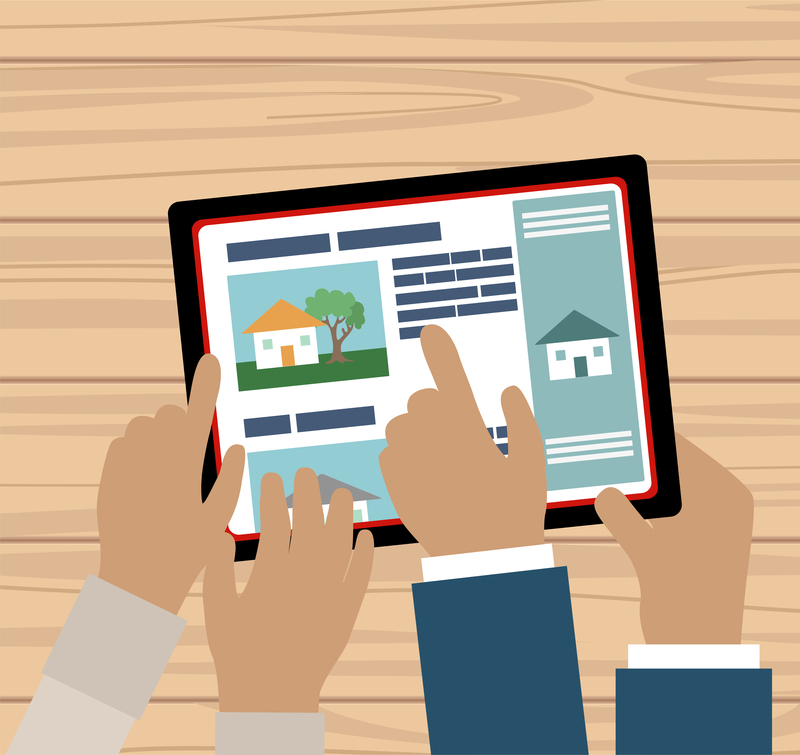 Put a few hundred or even a few thousand miles between you and the houses you’re interested in, and this equation becomes a lot more complicated. To get the perfect house when you’re shopping remotely, it’s important to have a game plan and know what you’re up against. It’s not hard to find lots of photos or even videos of houses you’re interested in. While this will give you a good idea of the house itself, house hunting needs to consider more than just the appearance and layout of the home. Factors like local crime rates, proximity to dining and entertainment, and the quality of schools should also be in your research checklist. Even if some of those factors aren’t important to you, they’ll likely be important to other buyers when it comes time to resell the home. Knowing the difference between what you want and what you need will serve you very well when house hunting long distance. Start by looking at a few homes in the area you’re looking at so you know what’s available, and then make a list of all your desired features. Once you have that list you can prioritize it by features you absolutely need and features that would be nice to have. You won’t always have the opportunity to see your top 5 or so favorite homes before you buy; sometimes buying sight unseen is unavoidable. However, planning a trip to see the houses that made the final cut is ideal. Assuming schedules allow for this, be sure to add the price of travel (plane tickets and lodging) into your house hunting budget. Buying a house in a new and unfamiliar area can be a stressful process. But by buying a new construction home from Perry Hood Properties, you can rest assured that you’ll get a high-quality home in a great neighborhood. We’re one of the most experienced home builders in the Tulsa area and we can help you make this difficult transition. Between all the utensils, pots, pans, gadgets, and décor, it’s easy for kitchens to get a bit crowded. This can be problematic, because your kitchen needs to be one of the most functional rooms in the house so you can cook and clean easily. If your cabinets are overflowing, try these tips to declutter your kitchen. The first step is to go through your entire kitchen and donate anything you don’t use. Odds are you have a lot of stuff in there that you haven’t used more than twice or may have never used at all. Don’t trick yourself into thinking that you’ll start using it now that you remember you have it. Just get rid of it. One often overlooked storage spot is the space above the cabinets. This is a great place to tuck away large bulky items that won’t fit into cabinets or items you don’t use every day. Using a pot rack is also a good idea if you’re short on cabinet space. There are plenty of kitchen storage hacks out there, so don’t be afraid to get creative. When it comes to things like ingredients and food, there’s not a better organizational tool than a label. This will force you to group like items together and find a logical place to put them. Then you can label the storage section so you’ll always know where to find what you need. This will also come in handy when other people are in the kitchen helping you cook. Don’t just stick with one kind of storage container. There are lots of different storage needs when it comes to food; some need to be airtight and some need to be cold. 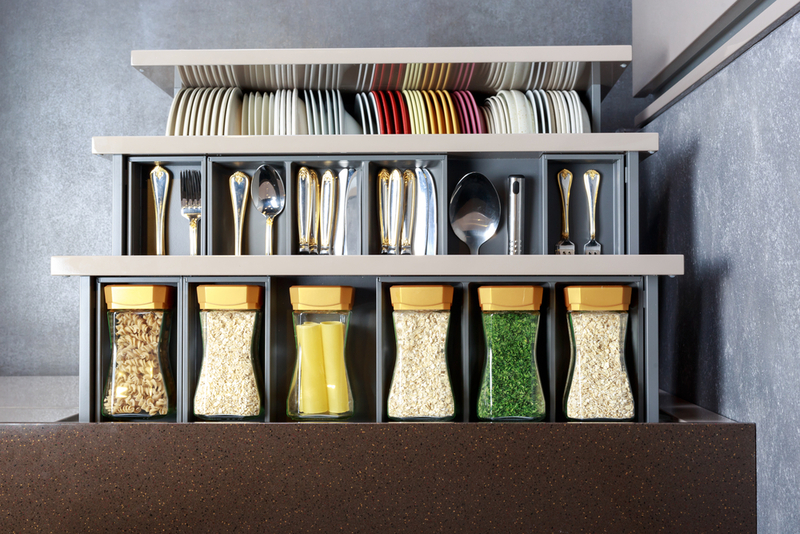 Having a wide range of containers will help you meet all the different requirements of your kitchen items. When you’re applying for a mortgage, the goal is to make yourself look as stable and dependable as possible. Banks want to make sure you’ll be able to make your monthly payments and change tends to scare them. Even if you accept a higher paying job, the banks might see that as a greater risk of getting fired because you’re in a new and unfamiliar role. It sounds a bit goofy, but it doesn’t mean you can’t get approved for a mortgage and change jobs at the same time. All you have to do is prove this new job offers plenty of financial stability. Typically, lenders won’t sign off on the loan until you’ve worked in your new role for 30 days, so make sure to budget an extra month of time. They’ll also want to see an offer letter and possibly a paystub once you have one. Making a job change within the same industry will raise considerably less red flags, as will a promotion at the same company. Trying to make a major career switch or accepting a lesser paying job will make things much harder. One, potentially risky, option is to buy your new home before you put in your two weeks’ notice. Lenders will verify employment during the application process and right before closing. So as long as you maintain the same employment during both checks and don’t tell your current employer that you’re leaving, you should be fine. Just make sure there’s no clause in the loan agreement that asks about plans to change jobs. This strategy might also put you in an awkward position if someone from HR asks why you’re moving. Getting a mortgage while you’re changing jobs isn’t impossible, but it does add a few extra variables. Lenders shouldn’t give you any trouble as long as you’re sure to account for those variables.